Tomorrow marks the 150th anniversary of the birth of Jean Sibelius. Commemorative events are under way this week, from Sibelius’ native Finland to Minnesota. Appropriately, the 11th International Jean Sibelius Violin Competition just wrapped up in Helsinki. 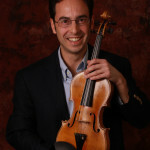 The competition, open to violinists under the age of 30, has been held every five years since 1965. Listen to this year’s first prize winner, American violinist Christel Lee, here. Recently, here at the Listeners’ Club, we’ve explored Sibelius’ Second Symphony and the tone poem, The Oceanides. Both posts featured conductor Osmo Vänskä’s landmark recordings with the Lahti Symphony Orchestra in the 1990s. 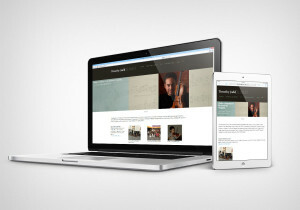 In 2012, Vänskä began re-recording the Sibelius symphonies with Minnesota Orchestra. Briefly delayed by that orchestra’s 15-month-long lockout, the project is again in full swing. Later in the week, we’ll hear Vänskä’s Lahti recording of Sibelius’ Sixth Symphony. In the meantime, here is a great live performance of the Fifth Symphony with Leonard Bernstein and the Vienna Philharmonic. I provided some background on the Fifth Symphony in this past Listeners’ Club post. Do you have a favorite Sibelius recording? Is there one conductor who, in your opinion, really “gets” Sibelius? Please share your recommendations in the thread below. And don’t forget to explore the Listeners’ Club archive for other Sibelius posts. One of my vivid memories is standing before the beautiful Sibelius monument in Helsinki. It is a fitting tribute to a great composer.